News arrives from Stefanie Alsdorf at dahm international of reductions in the prices of Herbert Dahm's listing, the 29.77m Jongert 2900m _sailing yacht, and Jochen Brill's 24m motor yacht central, the 24m _G-One Again. 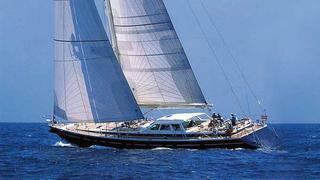 Jongert 29m was built by Jongert in 2005 to a design by Doug Peterson and last refitted as recently as 2009. Built to Germanischer Lloyd class and MCA compliant, this superyacht has an interior by Peter Sijm sleeping eight guests in a double and three twin cabins. Currently on her way back from the Caribbean to the Mediterranean, her price has dropped by €1.2 million to €4.5 million. G-One Again was delivered by Italy's FP Yachts in 2005 and was designed by Paolo Caliari. Accommodating eight guests in a master suite and three double staterooms, this superyacht has a range of 320 nautical miles at her cruising speed of 40 knots. Her asking price has been reduced by over 10% to €1.2 million.